ZArchiver Donate + a special version of ZArchiver to donate to the project. 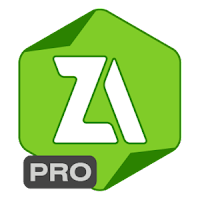 ZArchiver + is a program for managing files. It has a simple and functional interface.